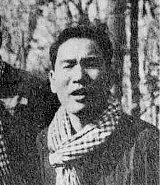 On this date in 1978, peripatetic Communist intellectual Hu Nim vanished into Khmer Rouge Cambodia’s charnel house along with 126 others at Tuol Seng. 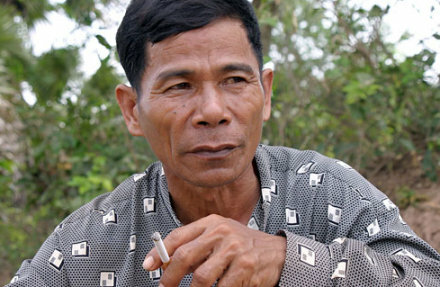 The child of a poor peasant’s family, Nim was a gifted young state worker who studied in Paris in the 1950s, where he met several future Khmer Rouge leaders. 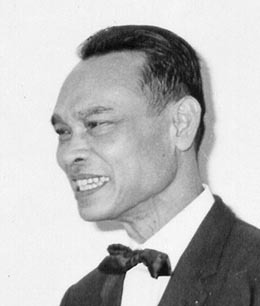 Nim charted an independent — some might say hypocritical — course over the next two decades, serving uneasily as a leftist parliamentarian in Prince Sihanouk‘s nationalist coalition government, fleeing ahead of a conservative purge into the bush to join Communist guerrillas, then returning once more to Sihanouk’s now-leftist Chinese-backed government-in-exile. It’s a period whose interests and alliances don’t map straightforwardly onto the familiar Cold War axis. Hu Nim’s stature as Minister of Information in the government-in-exile transitioned directly to that same portfolio when the Khmer Rouge came to power. Maybe those old ties to the ancien regime did him in — Vietnam, after invading Cambodia, would seize on the late minister’s reputation for independence to damn the Khmer Rouge for purging a moderate socialist — but there was no ideological talisman for safety during those terrible years. Hu Nim’s longstanding pro-Chinese position was also a dangerous association come 1977, and Phouk Chhay, a fellow officer of the Khmer-Chinese Friendship Association, was among the batch of prisoners shot along with Hu Nim this date. * Official count for all of 1977: 6,330 “anti-party” types tortured and executed at Tuol Sleng, as against “only” 2,404 in 1975-1976 combined. On this date in 1975, Phnom Penh fell to the Khmer Rouge — Day One, Year Zero of its nightmarish four-year reign over Cambodia. That very day, the Prime Minister of the defeated regime, Long Boret, was arrested and summarily shot at the city’s Cercle Sportif. Only weeks earlier, he had been furiously trying to negotiate any sort of peace with the advancing guerrillas … but his doomed government had little leverage. 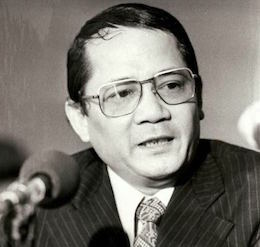 Boret was among several high-ranking officials whose names were on a death list the Khmer Rouge announced publicly; when the United States abandoned its support and evacuated days before, it was a surprise that Long was not among the Cambodian officials joining them. When Phnom Penh awoke on the 16th, even the hard-line members of the Supreme Committee saw at last that further resistance was impossible … [and] agreed to … the immediate transfer of power to the revolutionaries. 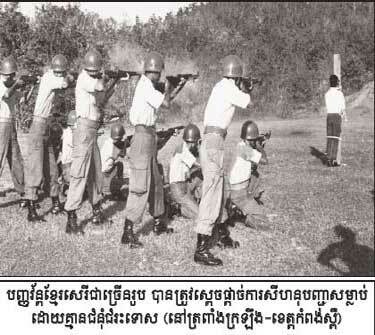 They asked only that there be no reprisals against officials and soldiers of the Phnom Penh regime. As dawn broke on the 17th, the dispirited group returned to Long Boret’s house, where they finally received [the Khmer Rouge’s] reply to the previous day’s peace offer. It was a flat, frightening rejection. Not only would the liberation forces accept no arranged handover of power, but the membership of the Supreme Committee had been added to the seven original “traitors” on the Khmer Rouge death list. Stunned, members of the government walked out of the prime minister’s residence and dispersed, leaving a “strange calmness,” General Sak later recalled. Only he and Long Boret were still there when an army officer arrived to report that a few helicopters were preparing to leave from the Olympic Stadium. The two leaders, each in his official car, reached the stadium shortly after eight o’clock and boarded one of the helicopters waiting there. A few minutes later, however, Long Boret’s wife, two children, and his sister, along with some family friends, arrived at the landing zone, and he stepped down to join them on another helicopter. With him went his close friend, Information Minister Thong Lim Huong. General Sak, with his wife and children, took off at eight-thirty. From the air, as they rose over the city, they could see the prime minister’s party switching to still a third waiting helicopter. Whether both craft were mechanically unflyable or failed to take off for some other reason is not known. But Long Boret never left Phnom Penh. He was seen under arrest that afternoon, and shortly afterward was executed.